Tiara Hotel and Residences is a beachfront community located along the upper-right side of the trunk of the Palm Jumeirah. 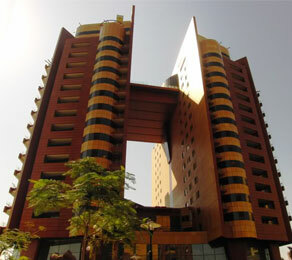 CCL designed and installed the post-tensioning for the Tiara hotel in 2008 with the two hotel towers each having 22 floors and a total area of around 60,000 square meters. In 2015, the client wanted to make some architectural changes to the building which would result in a change in loading. CCL was commissioned to check the feasibility of the changes in loading and what effect they would have on the post-tensioned slabs. New corings would also be required to allow installation of new MEP services. CCL undertook a design check for new load acceptance and as a result designed, supplied and carried out the application of the required strengthening works CFRP and External Post-Tensioning. The company also executed the slab corings making sure these were in the exact location where services were needed, while minimizing the numbers of tendons cut by the new corings.